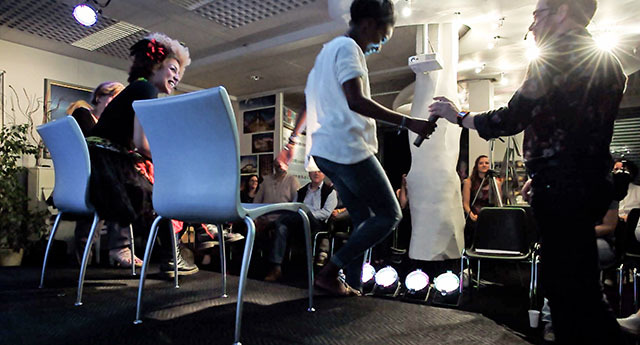 Thorsten Overgaard's Photography Pages - The Story Behind That Picture 194 - "Will you marry me?" The Story Behind That Picture: "Will you marry me?" By: Thorsten Overgaard. September 23, 2018. 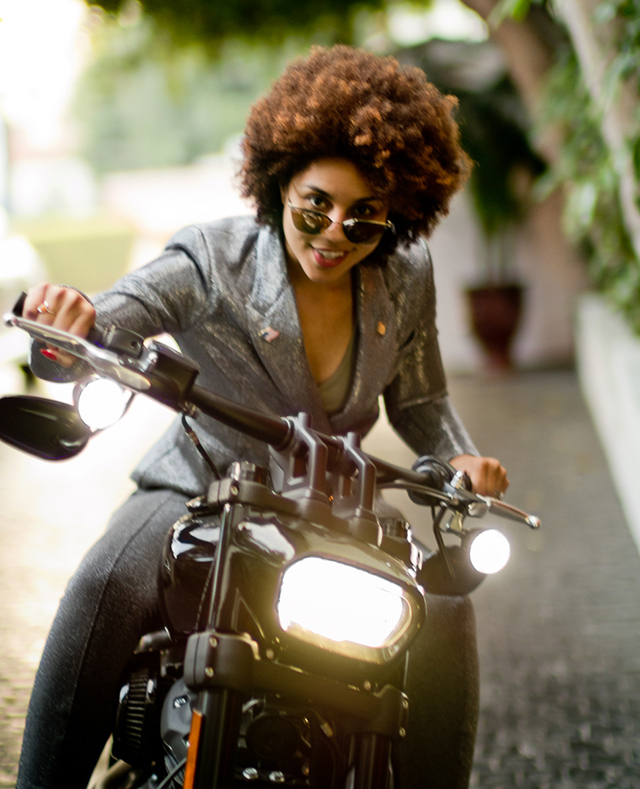 Today I will share the story of my engagement to Joy Villa. I was down on my knees in New York, on her birthday, April 25, 2016. It wasn't an easy ride to get me down on my knees, and that story I'll share today. On my knees for my princess in New York for my princess, with my mother’s ring (Joy and my mother share the same birthday). Photo by Rita Lyman. Joy and I have been soulmates for more than six years. We share the same likes and dislikes, we spend a lot of time together and we talk a lot. We are considerate and we’re honest. When we meet people around the world, they often ask, "How did you meet?" 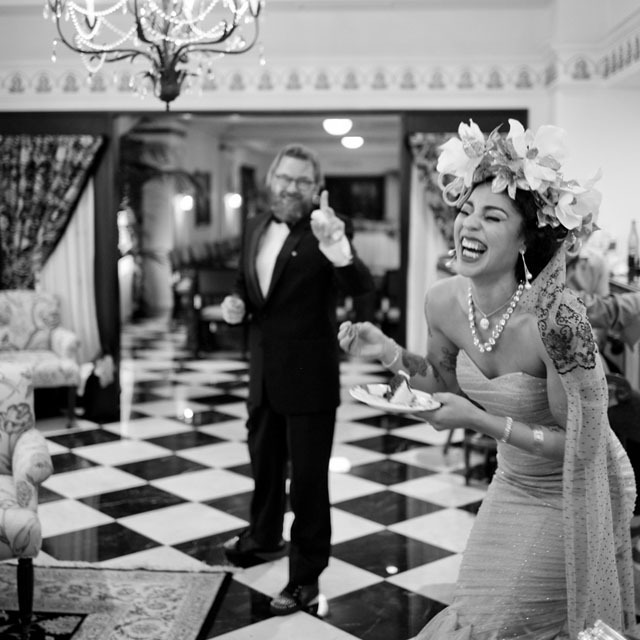 I first met Joy Villa when I was photographing a gala in Hollywood. She looked very exotic and aesthetic with a flower in her big afro. Joy Villa at the gala in Hollywood. We didn't talk but just made a contact. But in retrospect, I had taken 17 pictures of her during the evening, so I 'unknowingly' had found a subject of interest. 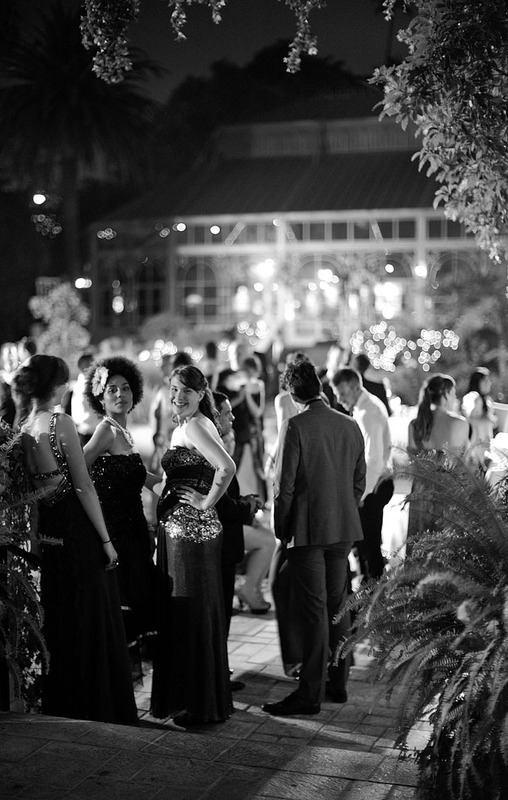 She was a sunshine in the center of the room and I thought she looked like a princess. We didn’t speak much, actually we just made a short contact. 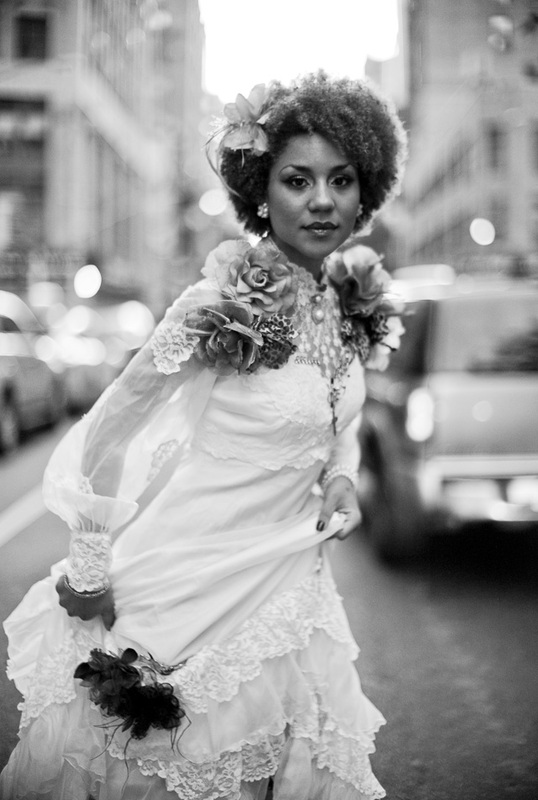 A year later I arranged for us to meet in New York and I photographed her in a vintage wedding dress running between the taxis on Fifth Avenue. We didn't see it as a sign that she was wearing a wedding dress, nor that it was on the exact same date, a year later, except a time difference of a few hours, when we met again. One year later: We didn't see it as a clear sign of what was coming that she was wearing a wedding dress for our first shoot. Leica M9 with Leica 50mm Noctilux-M f/1.0. She said a voice in her head said, “That’s him” when we met in New York. We fell in love, and I kidnapped her. We have been touring the world together ever since. I've had the story of our engagement long overdue. I proposed to Joy Villa in New York on her birthday, April 25, 2016 - and we got married on December 25 the same year. On stage together at Celebrity Centre in Hollywood. Photo by Hannes Gahwiler. From the first moment that we walked the streets together, people thought we had always been together. For a while we didn't feel we needed to hurry and get married, maybe we never needed to. But eventually we agreed that between not being married and being married, a real marriage was the right thing to do. What we didn't agree was how to do it. From a photo shoot, resting colors and light. 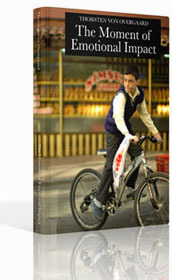 In Denmark only very sophisticated people get engaged. Mostly, you find a good moment, and then you sort of ask about it, or talk it through. You agree it's a good idea, and what follows is a wedding for family and a few friends, which is usually 30-150 people. Besides food, songs, speeches and gifts, the marriage is sealed with two similar looking rings. A fundamental for Denmark is that everybody is equal, and so it is in weddings. Similar rings, different sizes. 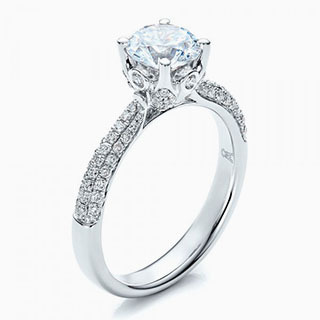 A proper American engagement ring looks like this and costs around $10,000. 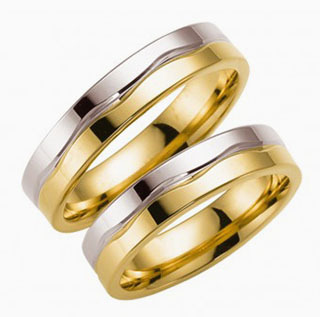 A Danish wedding ring looks like this and cost $500 for the set (one for him, one for her). In America, the man must propose to the woman, and when she accepts, he presents a (big) diamond ring. A $10,000 ring is not unusual, but they can cost less, or they can cost much more. Next, a wedding planner is usually hired to plan the wedding, and it's a grand production compared to a Danish wedding. At the wedding, the bride is presented with a regular ring. We travel to more than 25 countries a year together. I've always found it strange why a young couple would invest $10,000 in a ring at a stage of their life where they need to establish a home. Actually, first I heard of it, I thought it was just something made up to get a ring. But I learned about the ring from my daughter and others who were married in the US, and even though I didn't fully understand the logic of it, I learned that a ring was mandatory and not to be argued about. It wasn’t a matter of making sense but of making a woman happy. We happened to be going to the Caribbean around that time, and diamond rings are “half the price” there (or “twice the size” as some would put it - I'm sure Joy would be one of them!). Obviously, the ring had to be found first, before the proposal. However, my princess grew impatient and at some point, she simply burst with resentment and demanded to know why I hadn't proposed yet! This lead us to one of those moments where you talk things out, and you both realize that although it was so obvious, nobody had ever thought about discussing it. Despite that we had our life worked out in so many ways and was knotted so tight as you can be, this was a subject where we had to clear the air in what was an aha-moment. That was the day I learned that I was required to get on my knees and propose, and it had to be in front of other people, and that I better find a ring to present! It wasn’t just a project to do and be practical about, it was a real thing! It was a ritual. I don't feel competent to advise others, but it's logical that you’ve gotta ask. In some cultures, you find a good moment, in others there are rituals, and in others you have to ask the father, the mother or the whole family before you propose. In some you have to ask the leader of the tribe, or even the government. You have to know how to ask the right way. I already knew the answer, but on Joy's birthday we invited some friends for lunch at the Koran restaurant Franchia in New York, and as no real surprise, I proposed to Joy Villa. Eyes were wet and bystanders and other guests clapped and behaved as if it was a movie. It was very romantic, and it was very right to do it on that day, in New York, on her birthday, and with my mothers’ ring (who has the same birthday). Later that year, on Christmas day, we got married in front of friends and family, which was another moment of wet eyes and a lot of fun. One of the things we've been doing around the world through the years are Artists Nights, where we invite artists of all kinds to an evening on how to make a living while doing your art. I was fortunate to meet my spouse while I was doing what I wanted to do, and fortunate too that she wanted to travel with me and do art that was different from mine, but also in many ways similar. We conspire together, and we work out our projects to fit into our life. As opposed to living a professional life and being together in our spare time, our relationship is our most important career. Married at last, on December 25. Photo by Oliver Overgaard. 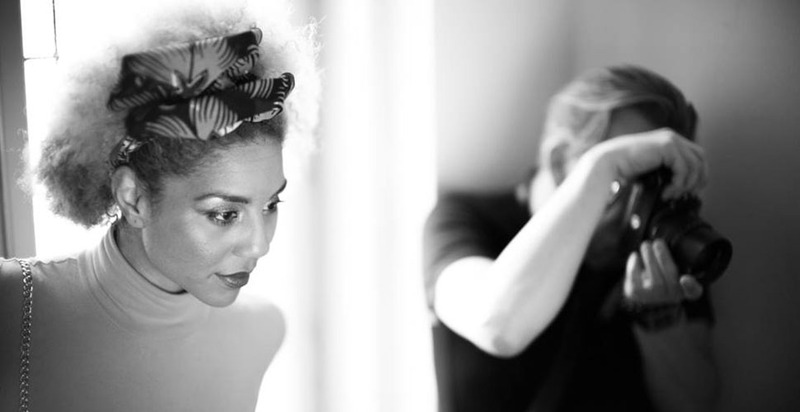 Above: Joy Villa and Thorsten in Vienna.